Wolves are very special, kind, beautiful creatures. They have been feared and hunted by man for many many years. 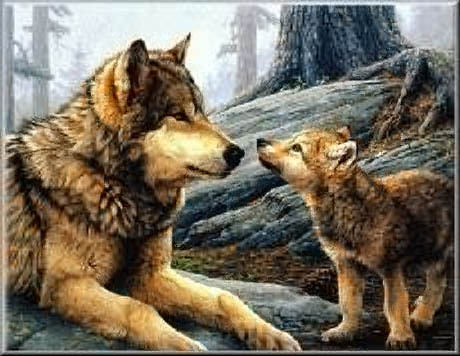 Wolves are very loyal, devoted parents. 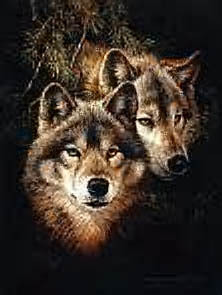 They are shy animals and enjoy being with their family members.Wolves live in packs of 8 to 20,and are very intelligent and social animals.They don't choose to hunt in the precence of man,they have no other choice. The land that they need to hunt and live is being taken from them at an alarming rate and they are being hunted and killed because most humans fear what they don't understand. 750,000 wolves once roamed North America.They only hunt on other weak or sick animals and despite their important role in ecology,and posing no threat to humans,wolves have been hunted to nearly extinction. It seems to be easier for many people to kill than to get educated and find ways to live peacefully,as a whole. Now the beautiful howls of a wolf can only be heard in a few states and in wolf sanctuaries that are keeping this wonderful animal alive. My goal is to bring as much public awareness about these sweet,special animals as I can. I hope that I can provide information on wolves here so more good people might want to get involved and help out anyway they can to keep our earth's wolves from becomng extinct. I hope to update this page more very soon. 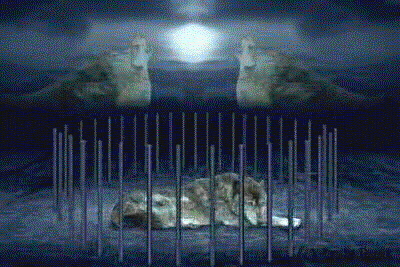 In the Wolf Santcuaries section you will see some links to various organizations who are dedicated to educating the public, who provide shelter for injured animals, and who are determined to bring back the wolf population . Some of the breeds of wolves are on the verge of extinction. Please visit these sites, learn as much about wolves, and maybe dedicate some of your own time or check into one of the many Adopt-A-Wolf programs that are available to us. I have noticed in my life that all men have a liking for some special animal, tree, plant or spot on earth. If men would pay more attention to these preferences and seek what is best to do in order to make themselves worthy of that toward which they are so attracted, they might have dreams which would purify their lives. Let a man decide upon his favorite animal and make a study of it, learning its innocent ways. Let him learn to understand its sounds and motions. The animals want to communicate with man, but Wakantanka does not intend they shall do so directly-man must do the greater part in securing an understanding.